Jane Brody, the long-time New York Times health columnist whose column is one of the best-read in health-care today, is back on the vitamin D train. Brody’s column on Tuesday suggested that vitamin D research may be among the most important medical findings thusfar in the 21st century. The column adds further credibility to the case that natural and intended vitamin D levels are consistent with what one could only possibly receive living outdoors in regular sunlight. Dietary supplements are a substitute at best, and no one is saying for sure how much vitamin D you can take as a supplement. 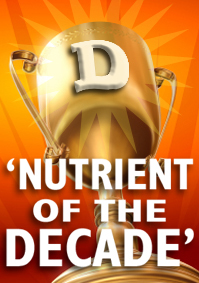 Vitamin D is very rare in diet. Sunshine is the must abundant and most natural source. Disappointing in Brody’s column is her reference to how much summer sun is required to manufacture sufficient vitamin D in the skin. “In summer, as little as five minutes of sun a day on unprotected hands and face can replete the body’s supply,” Brody wrote, not taking into account that this recommendation is based on old, lower-level recommendations, that sun intensity varies throughout the day and by location, and that dark skin may need 10 times as much sun to make the same amount of vitamin D as light skin. Click here to read Brody’s column in The New York Times.